At SANFORD A. KASSEL, A Professional Law Corporation, we have more than 35 years of experience representing individuals throughout the Inland Empire who have been wrongfully terminated or discriminated against. Call today for a free consultation. In our Employment Law practice, our Employment Attorneys represent employees who have been harmed by all types of illegal conduct in the workplace. Much of our practice involves employment discrimination claims, such as discrimination on the basis of age, race, gender, disability, religion or membership in other protected classes. We also represent clients in whistleblower claims, wage and hour cases, workplace retaliation, and sexual harassment claims. Whatever your case involves, our attorneys are ready to help. Discrimination or retaliation in the workplace is unlawful and a compensable act. If you have faced discrimination, harassment or other illegal acts in the workplace, our experienced Employment Attorneys will hold your employer accountable. Our law office has the necessary knowledge, skill, and resources to ensure you will recover the highest compensation for your claim. We know the law, and can advise you of your best legal course of action. Acts of sexual harassment are unconscionable and cannot be tolerated in the workplace. In too many instances, however, employees and supervisors commit horrific acts of harassment. Whether you are forced to endure a hostile work environment, or have been propositioned by a manager, you need to talk to a lawyer immediately. We are the employment law attorneys at SANFORD A. KASSEL, A Professional Law Corporation. From our offices in San Bernardino, we protect the rights of employees across Southern California. In your free initial consultation with our lawyers, we will help you explain your rights under the law. We have a comprehensive understanding of these laws and will give you the information you need to make informed decisions about your case. Our attorneys recognize that businesses will be very reluctant to admit that sexual harassment took place. As a result, discovering and gathering evidence of harassment is perhaps the single most important part of any case. We will work relentlessly to uncover all of the evidence in order to negotiate from a position of strength, or go to trial if necessary. The employee-employer relationship should be relatively simple. The employee should perform his or her duties, and the employer should pay the employee. Obviously, the employer must follow all relevant laws, and if there is an employment contract, the employer must take care not to violate the agreement. Unfortunately, far too many employers have difficulties living up to this arrangement. For instance, employees may be denied overtime, required to work "off the clock" or denied commissions. These and other acts are outrageous and cannot be tolerated. An employment lawyer will be vital in protecting your rights and helping you recover the money you are owed for your efforts. At SANFORD A. KASSEL, A Professional Law Corporation, our San Bernardino-based law firm has the talent and dedication you need. 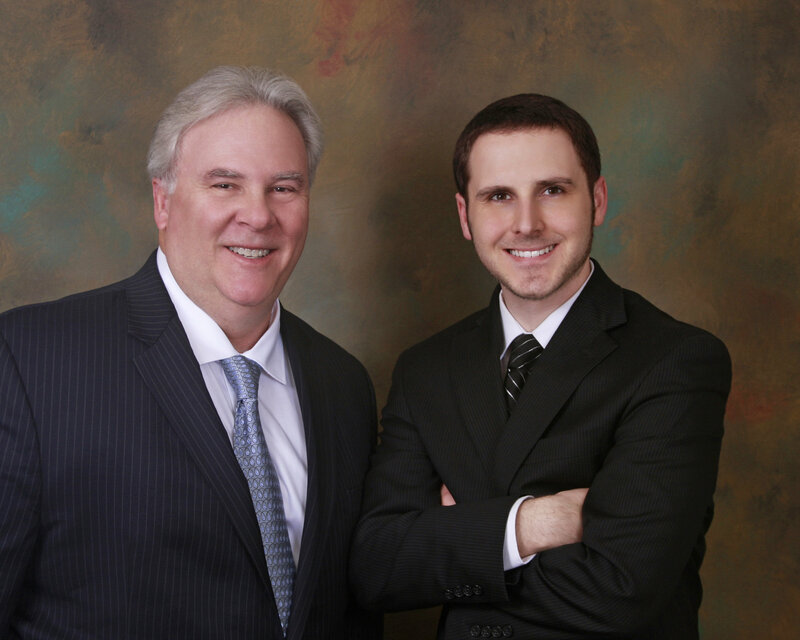 Our lawyers the father-son legal team of Sanford A. Kassel and Gavin P. Kassel are the second and third generations of the Kassel family practicing law in San Bernardino. Sanford A. Kassel, a graduate of Western State University School of Law, Fullerton, CA, has practiced law since 1981. During this time, he has worked in the same location, next to the San Bernardino Justice Center at 3rd Street and Arrowhead Avenue in Downtown San Bernardino. Highest "Medical Malpractice" Jury Trial Verdict, in the history of San Bernardino County. Highest "Wrongful Death" Settlement, in the history of San Bernardino and Riverside Counties. Settled "Whistleblower" case against San Bernardino County Board of Supervisors for $650,000.00. Like his father, Gavin Kassel strives to assist those who have been personally injured due to the fault of another or have been taken advantage ofparticularly in the area of employment discrimination, workplace retaliation, and wrongful termination.